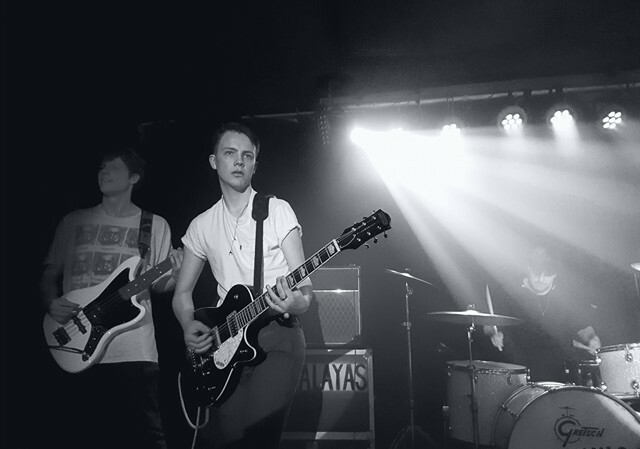 Good things are said to happen to those who wait but for Welsh indie garage rock wonders Himalayas great things are happening just now and it does not like they had to wait all that long. 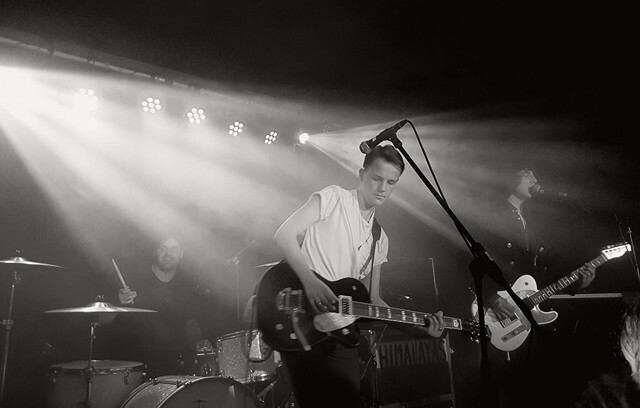 The Cardiff 4-piece recently announced that they had been selected to play at this year's SXSW in Austin Texas. Over two days mid-March the band will play the BBC Music Introducing as well as the Focus Wales Showcase. 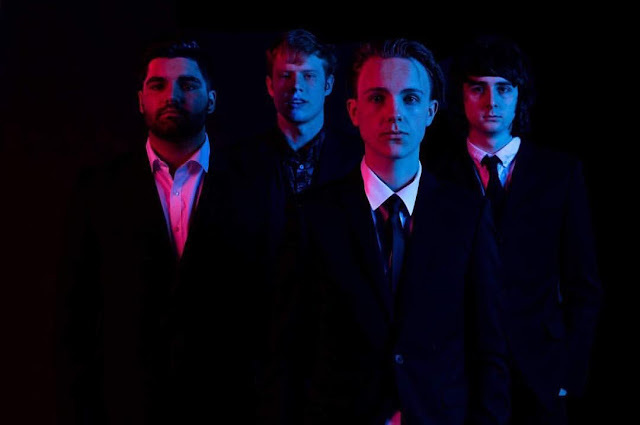 Only just about to complete their first UK headline tour, with a gig in their hometown still to come, vocalist/guitarist Joe Williams, Mike Griffiths, the band's lead guitarist, drummer James Goulbourn and bassist Louis Heaps are buzzing from the experience of playing to bigger, even more dedicated crowds. It has worked out really well and they picked up some strong reviews and praise along the way. Joe: the main thing is the kind of reaction we have been getting. A lot of the people came just to see us, which is flattering and they were singing the songs. It is really great. Mike: compared with our last tour this was one has been even better. We were playing similar sort of venues as we have done previously but selling a lot more tickets with three dates selling out completely. The boys have had some interesting experiences along the way. One guy approached the band when they played in Bristol saying he was from the Himalayas. Joe: our van was outside. He was telling us every time we play we have to say 'free Tibet', so I think that might have to make it into the set, especially it he turns up. And perhaps, rather unexpectedly, Truro became a surprise gig, in a very good way. Mike: we didn’t expect that many people to be there. It is in the middle of nowhere. We didn't think there would be a music scene but the gig was sold out and the crowds were just singing. They seemed to be singing songs they had never even heard before.They were even singing the single. A place we have never been to before, which is completely out of the way, it was just amazing. Himalayas write and perform exciting, energetic, guitar driven songs and their frequent use of guitar solos works extremely well. There is an infectious direct attitude in their music, it sounds contemporary and is very much a product of the here and now. With songs as good as Sigh on A Hurricane and Thank God I'm Not You it is no wonder that the last nine months have seen the band receive Radio 1 airplay, lead by several leading champions of new music including fellow Welshman Huw Stephens and Clara Amfo and John Kennedy and Gordon Smart of Radio X. Plus, the single Thank God I'm Not You reached 4.10 million streams on Spotify. Musical influences are refreshingly diverse and include the likes of Queens Of The Stone Age, The Arctic Monkeys, The Manic Street Preachers, Pink Floyd through to Abba, John Bonham and Otis Redding, to name but a few. The diverse range of influences will soon be on further display for everyone to hear when the band release their new single If I Tell You in April. It is one of their finest songs to date and is even more even more ambitious than anything they have released previously. Looking at capitalism and the bleakness of current society, If I Tell You is a critical, informed and super-engaging tune. Taking lyrical inspiration from the Situationist International movement (1957-1972), Himalayas create a fascinating dynamic using strong lyrics combined with the hyper energy of their garage rock. Building on inspiration taken from areas other than music such as the everyday and making use of material from their own personal lives as well as political themes all appears to come with ease. Lyrics mean a lot and are considered key. Joe: we don’t just write stuff for the sake of writing. We believe in what we write and most of the time, there is a message. Even when hidden it will be in there somewhere. We never force things and we do not write a song just because we think it would be cool. It will be because we feel it is right at the time. To the four band members, responsibility of writing music is not considered part of an actual process, they see it as something far more flexible and spontaneous but it is certainly very creative. Mike: It is not really a process for us. If we considered it a process we would just end up playing the same type of songs again and again. When I play my guitar and something good comes out, I might just build a good lyric in and around that. Mike: we might record a whole load worth of music in the studio but the words might not get finished at that point, it might be another two or three months down the line, it really depends on what happens, so the emphasis is on when the time is right to be writing songs. Their recording work has been in collaboration with producer Steffan Pringle, Cardiff band Estrons' bass player. The successful working relationship is likely to continue well into the foreseeable future and the band have been recording lots of new material with the producer including their soon to be released single (April) If I Tell You. Joe: Steffan has done all of our recordings up until now and the plan is for that to continue. We just started working on a new collection of songs and we are more than halfway through that work. We will keep the same sort of sounds as we had before. The time seems just right for them. Musically, Wales is in a better place than ever with an increasing level of interest and a wide range of bands getting more exposure. James: we have done a lot in a year which many Welsh bands might have done in a few years, some of it comes down to luck and things like that. Although we have been lucky we do work very hard too. Mike: a lot of great bands are coming out of Wales but Cardiff does not have a big scene compared with cities such as London and Manchester where we fit in really well. There is definitely a lot more attention around us coming from Wales, especially with SXSW where we have been asked to play the Welsh showcase, it is a massive thing for us. Musically, the band no longer feel their Ecstasy EP represents where they have got to, how far they have come. Louis: it works as a sort of foundation for us. It feels a lot more raw than the singles because it is us getting to grips with our own sound, finding our own path. With the singles we come into our own sound I guess and have been able to sort of build that up more and more. They have only been going since 2015. Keeping things real and look at what is happening in and around them is very much how the band like to go about things. Joe: we do not have much planned at this point in time. We are not looking for actual goals right now. It is literally about getting out there and play to people. There are a lot of things we want to achieve but until we have got past a certain point we won't be able to look at them. Joe: we are still a relatively new band. Other bands out there have had more time to consider some of the whole kind thing about being in a band but what is lucky for us is that we have been able to cut some of that out, react really quickly and I think that can only be a really good thing.